Individually wrapped chocolate eggs made of Alpine milk chocolate with hazelnut cream filling. For all lovers of Noisette! 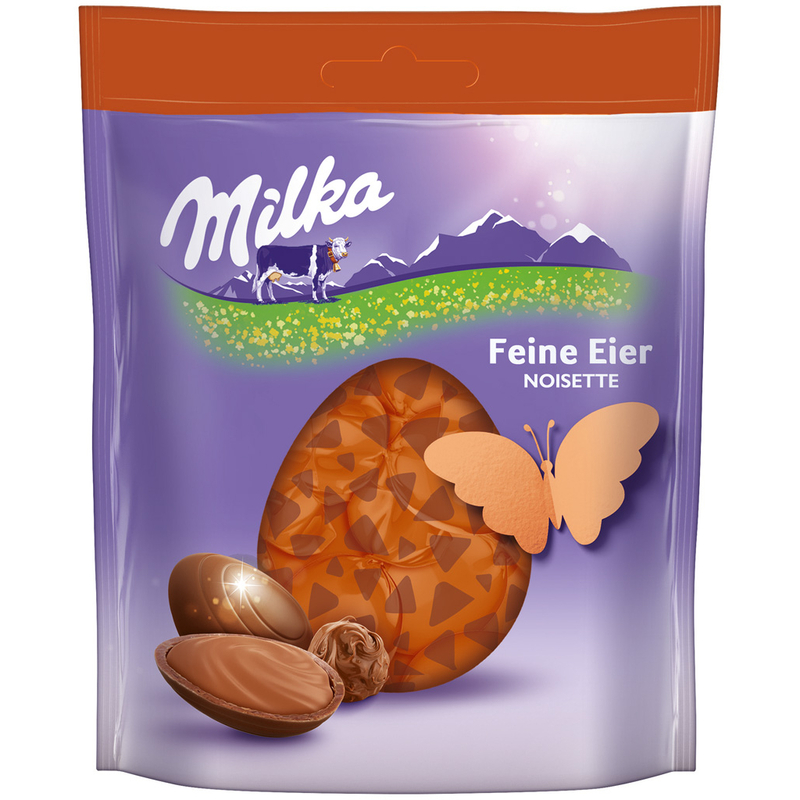 Individually wrapped chocolate eggs made of delicate Alpine milk chocolate filled with finest hazelnut cream. Ideal for decorating the Easter baskets but also for snacking in between. Sugar, cocoa butter, SKIMMED MILK POWDER, cocoa mass, SWEET WHEY POWDER (from MILK), HAZELNUT PASTE, BUTTERFAT, emulsifiers (SOY LECITHIN, polyglycerol polyricinoleate), flavoring. 15% hazelnut mass in the hazelnut cream filling. Cocoa solids: at least 30% in the milk chocolate. Zucker, Kakaobutter, MAGERMILCHPULVER, Kakaomasse, SÜßMOLKENPULVER (aus MILCH), HASELNUSSMASSE, BUTTERREINFETT, Emulgatoren (SOJALECITHIN, E476), Aroma. 15% Haselnussmasse in der Alpenmilch-Schokolade mit Haselnussmase. Kakao: 30% mindestens in der Alpenmilch-Schokolade.